With many fantastic trails to choose from, Britain’s mountain bikers are spoilt for choice. However, some destinations really stand out from the rest, making them ideal choices for mountain biking holidays. Situated near Ben Nevis, in the Scottish Highlands, Aonach Mor is one of Britain’s most famous mountain biking destinations. 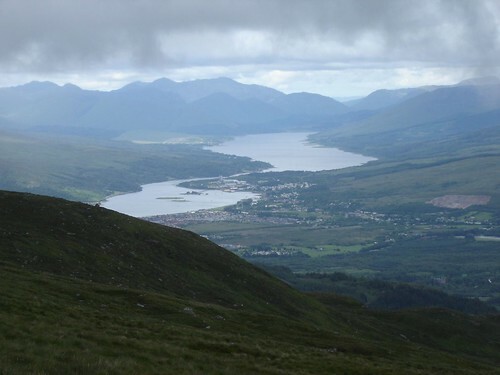 It’s home to the Nevis Range ski resort, where you’ll find the UK’s only UCI Mountain Biking World Cup downhill trail, the Nevis Range Downhill. This 2.82 km course, with its vertical descent of 555m, is the perfect challenge for experienced mountain bikers and you’ll enjoy spectacular views too. The trail, which is graded orange extreme, is open from May until September. This rugged trail stretches for 5.5km across Aonach Mor and is a great option for experienced mountain bikers looking for a testing off-road route. It features a wide range of surfaces, as well as jumps and drops, and is open between May and September. The Witch’s XC Trails consist of three marked trails – the red ‘World Champs Route’, the blue ‘10 Under Ben’ loop and the blue ‘Broomstick Blue’ loop – and one unmarked long-distance trail, so there’s something for everyone. 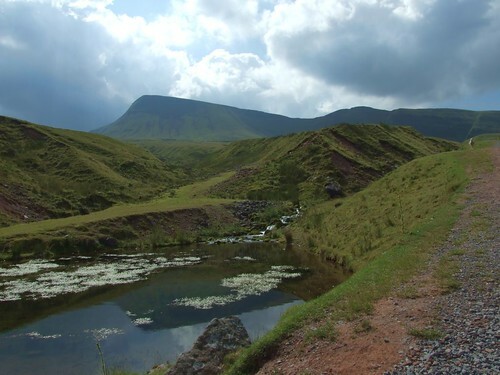 The Brecon Beacons, in South Wales, are a huge draw for mountain bikers visiting the area. The Brecon Beacons National Park has five mountain bike centres and a wide range of mountain biking routes, so it’s easy to see why. Beginners will find the yellow Visitor Centre Route is a rewarding option, whilst those who don’t mind a bit of a climb will love the green Usk Reservoir Route. Blue routes include the Mynydd Illtudd Route, which climbs to the top of Cefn Llechid, and red routes include the tough 33.8km Pontsticill Crossover route. Experienced mountain bikers who really want to test their skills can try the black Grwyne Fawr Reservoir Route. With stunning scenery and peaceful trails, the North Pennines is a superb place to go for a mountain biking holiday. Five of the best trails for mountain bikers visiting this beautiful part of Northern England are the Packhorse Trails – the Alston Trail, the Hartside Trail, the Hamsterley Trail, the Baldersdale Trail and the Blanchland Trail. Each follows a different 18th century packhorse route and they cover a range of different terrains. For a truly breath-taking experience, however, head to Cross Fell, the Pennines’ highest point. You can cycle along the bridleway from Garrigill and, although it’s a demanding route, once you get to Cross Fell, you can walk to the summit for superb views. For an unforgettable mountain biking holiday, visit the Mourne Mountains in County Down. This magnificent mountain range includes Slieve Donard, Northern Ireland’s highest mountain, and the area is popular with mountain bikers looking for a rewarding ride. You’ll find many options in the Mourne Mountains, including steep climbs to mountain summits and atmospheric forest trails. In 2012, plans to construct a further 45km of purpose-built trails were announced, with the work due to be completed in early 2013. The Mourne Mountains could therefore soon become one of the world’s most renowned mountain biking sites. Brad Chambers is keen cyclist and marathon runner. He blogs for Sealskinz a company specialising in outdoor gear, especially waterproof cycling gloves. Brad enjoys writing about extreme sports, travel and the great outdoors, he can be followed here on sealskinz twitter.